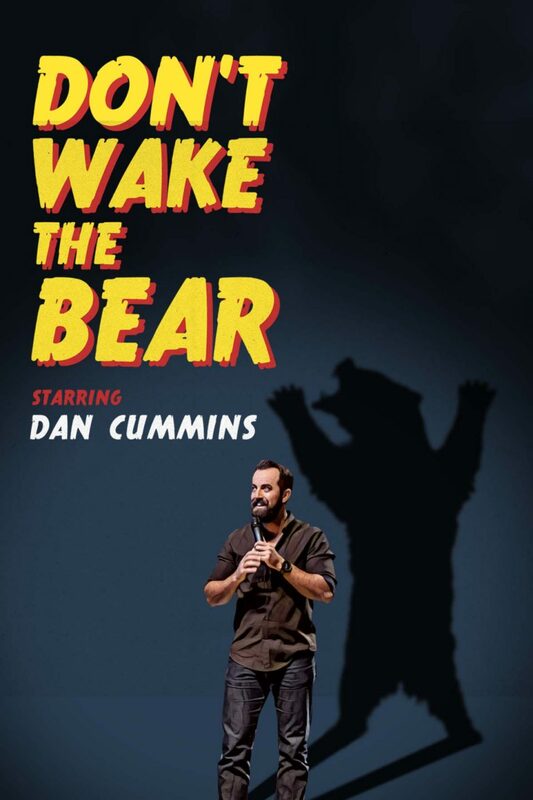 Dan Cummins sets to impress with his new release, Don't Wake The Bear. Cummins offers the audience his own brand of odd, featuring his trademark unusual, yet pointed observations, mixed with a slight twist of delusion. Unabashedly tackling any subject from gun control laws to raising a child that is clearly smarter than you, Dan Cummins unloads some of his funniest material to date! Directed by Adam Rothlein and filmed over two sold-out shows at the historic Salt Lake City venue, The Depot, this is a comedy extravaganza not to be missed. © 2016 Warner Bros Records Inc.